Dr. Michael Nugent is a leader in dental implant therapy. At his Pasadena, Texas detal office patient come from Pasadena, Deer Park and Friendswood for their dental implants. Dr. Nugent continues to study and learn about dental implants because dental implants are the most advanced way to restore missing teeth. But what are dental implants? Dental implants are replacement tooth roots that provide a strong foundation for permanent teeth. Dental implants are made so that they are extremely cosmetic and match your natural teeth. 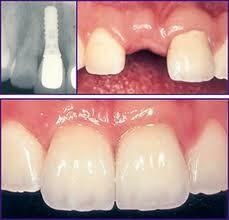 Also, dental implants can also be utilized in removable replacement teeth. 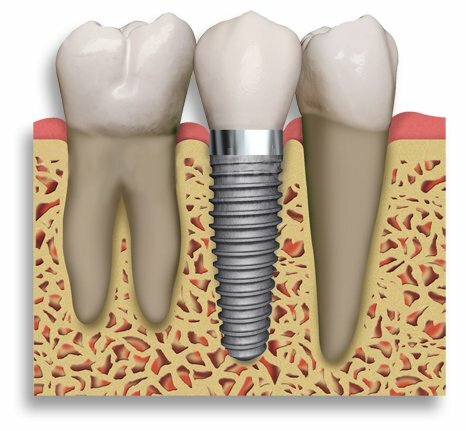 Dental Implants are the the most advanced method in tooth replacement. 1. 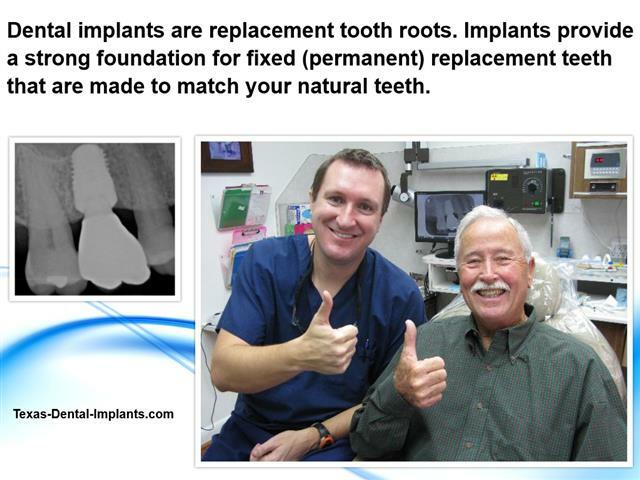 Dental implants enhance your appearance. Dental implants look and feel like your own teeth. Dental implants are the cosmetic solution to missing teeth. Dental implants are permanent because they fuse to bone. 2. Dental implants can improve speech and chewing. Ill-fitting dentures are hard to wear and talk correctly. The dentures slip and move. Furthermore, old fashioned dentures are extremely difficult to eat with. But Dr. Nugent can utilize dental implants that allow you to LOCK your denture into place. Implants allow you to speak and laugh freely without worrying that your denture teeth might fall out. Implant dentures do not need messy denture adhesive because the denture is locked into place by the dental implants. 3. Dental implants increase levels of comfort. Implants fuse to the jawbone and can be used to eliminate the need for removable dentures. Dental implants allow you to eat any food you want because of the tremendous chewing forces you can put on the implant. No more soft diet. Eat the foods you love with confidence and ease. 4. Dental implants can boost your self-esteem. Implants are used to replace missing teeth and can give you back your smile, and help you feel better about yourself. 5. Dental implants do no harm adjacent teeth. You will be able to floss and brush your dental implant teeth just like normal teeth. 6. Dental implants will never get a cavity or need a root canal. They are extremely durable and will most likely outlast the patient. 7. Dental implants are extremely convenient. Dental implants do not come out. 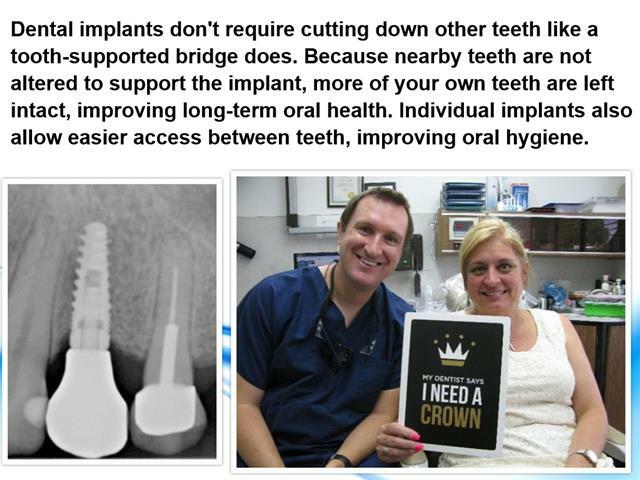 If you are considering dental implants, then Dr. Nugent encourages you to call 713-941-8261 to set up a free dental implant consultation. Come see why Dr. Nugent sees patient from Pasadena, Deer Park, La Porte, Friendswood and League City for their dental implant needs. 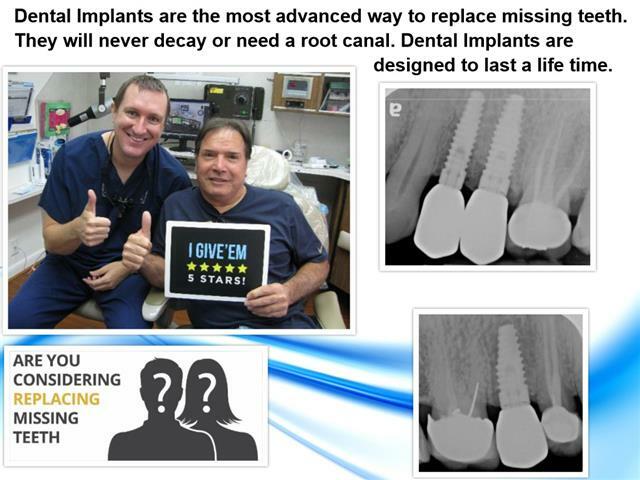 Dental implants are the gold standard in replacing teeth. Call us today at 713-941-8261 to discover a new you. Visit us at 3421 Burke Rd Ste A, Pasadena, Texas 77504. Come see why so many La Porte residents drive in to see Dr. Nugent.